Electronics giant Sony is refusing to join the price-cutting war in the ereader market, which has seen competitors like Amazon and Barnes & Noble eagerly matching and undercutting each other to encourage consumer sales. Instead, Sony is going the other way, betting the consumers are willing to pay a little bit more for a device head-and-shoulders about the competition. 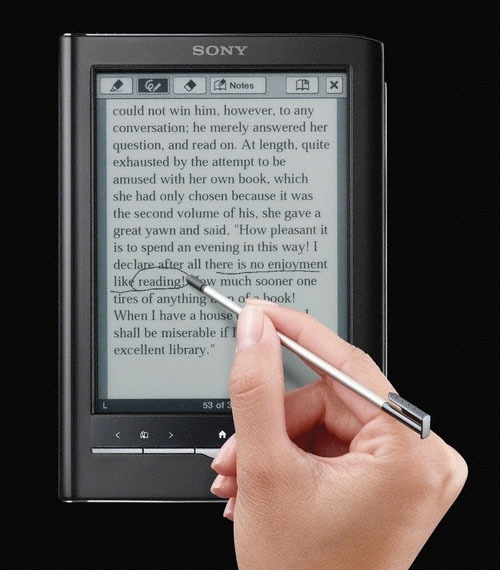 And the new Sony Readers have a feature that definitely makes them stand out from the ereader crowd: touch screens. 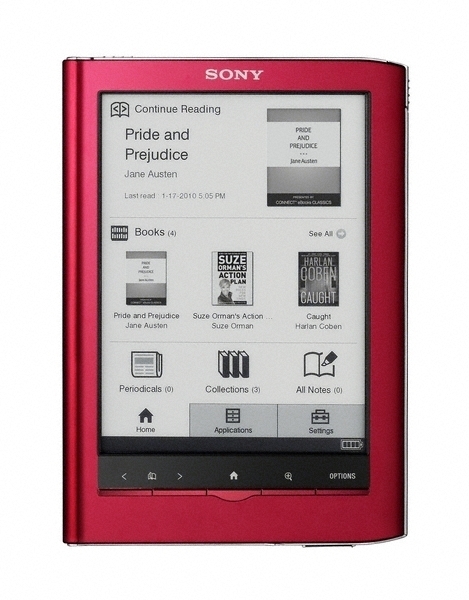 Sony is revamping its entire Reader line, including the Reader Touch Edition and Reader Pocket Edition, as well as the wireless-capable Reader Daily Edition, which will be available in the United States. All of the models feature an optical touchscreen technology that enables users to directly make annotations, look up words, and utilize content directly on screen. 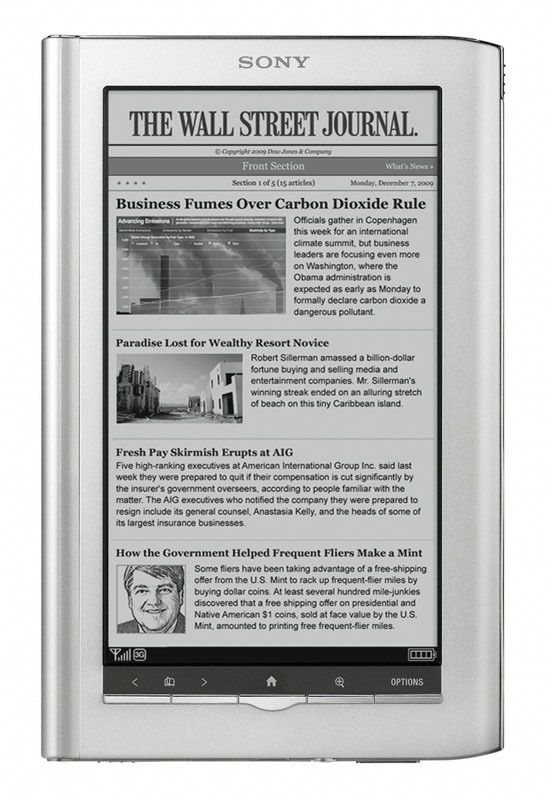 The readers also feature E Ink Pearl electronic paper displays with 16 levels of grey and improved contrast. All the readers support ePub, BBeB Book, PDF, text, RTF, and (via conversion) Microsoft Word documents, along with JPEG PNG, GIF, and BMP images. Of course, the devices can also tap into the Reader Store, which offers more than 1.2 million titles in the United States. Where Sony is taking a gamble with the new Readers is on pricing: the Pocket Edition carries a retail price of $179—that’s $20 less than its’s price last year, but still $40 more than Amazon’s least expensive Kindle. The Reader Touch Edition will go for $229 (a $59 price jump), while the Daily Edition will be prices at $299, some $49 more than the current model. The new Pocket Edition and Touch Edition Readers are available now; the Daily Edition Reader should launch in November.